The driver of a standard transmission controls a car’s gears based on driving conditions, and the car’s clutch mechanism is its key component. It is essential to keep it in good working order. When an engine is running, it is driving a clutch disc hooked directly to the driveshaft. A friction plate connects onto that disc. 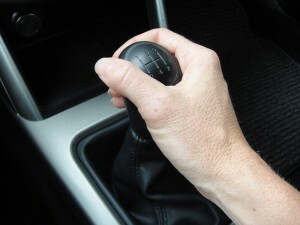 When the standard transmission’s driver presses the clutch pedal, the friction plate is disengaged so that the motor spins freely and is no longer connecting the engine to the drivetrain. When the clutch pedal is released, the friction plate again engages in a desired gear and gets the car going down the road. Friction causes heat, and heat is a clutch’s worst enemy. If the friction plate is not completely engaged or disengaged from the clutch disc, a lot of heat between the two spinning mechanisms will burn up the friction plate quickly. It is preferable to avoid this expensive repair if at all possible. Jim Halvorson, a driving instructor at the prestigious Road America racetrack in Elkhart Lake, Wis., offers tips that prevent clutches from burning out before their time. Keep RPMs low when you come off the line. Don’t exceed 2,000-2,500 RPMs when engaging a clutch. Any more engine revving will create unnecessary friction. Once the clutch pedal is fully released, engine speed becomes irrelevant to clutch preservation. Find the “sweet spot.” With the right foot on the brake, push the clutch in, put the car in first gear and slowly release the clutch. When the car’s engine begins to slow down and the tachometer starts to drop, the clutch starts to engage. Once you find that sweet spot, release the brake, give the car just a little bit of gas, slowly release the rest of the clutch and away you go. This technique is especially useful on hill starts. Don’t break the egg. Release the clutch too quickly, and the engine will die. Linger on the clutch pedal too long, and too much heat builds up in the system. Pretend here is an egg between your foot and pedals and try not to break it. By using a gentle, smooth motion, you won’t jump on the gas too hard or off the clutch too quickly, and the clutch will be preserved. Downshift only if you want to. It isn’t necessary to slow an engine down through downshifting and won’t add noticeable life to brake pads. Nor will it reduce the life of a clutch. As long as a clutch is fully disengaged and then engaged between gear-shifting, friction won’t build and the clutch won’t experience anymore wear shifting down than up through the gears. As a driving technique, though, this emergency trick is helpful in case of unexpected brake failure. Don’t hover. It is tempting to halfway engage the clutch and halfway press the gas pedal when waiting at an intersection to allow a faster start. This will heat up the clutch significantly. The better plan is to press the brake and disengage the clutch completely until it’s time to roll. Don’t ride the clutch. This standard warning pertains to the custom of resting one’s foot on the clutch pedal. The better foot rest is on the “dead pedal.” It is usually flush to the floor on the far left of the pedal set and should be used as a fourth pedal and footrest between gear changes. Cyril Meyer is an auto mechanic in Sauk Center, Minn., who has worked with cars for 53 years. He suggests awareness as a primary care technique. When a clutch slips, the engine will race without the car going fast – if at all – or the car may be sluggish when the clutch is engaged. If that happens, or if there is a sound of metal grinding, Meyer says it’s time to visit a clutch doctor. He also recommends not flooring the gas pedal to come off the line. The driving instructor and the professional mechanic agree: Friction and heat are the enemies of any clutch. Drive thoughtfully, and your standard transmission will last indefinitely.